When Elsevier acquired Mendeley three years ago, many people wondered how well it would work out — including our team at the Social Science Research Network. SSRN has similarities to Mendeley, and many differences, but we share a common vision of improving researchers’ lives, and doing that together within Elsevier makes complete sense. SSRN, based in Rochester, New York, provides a scholarly research repository and online community. Mendeley, based in London, is a free reference manager and scholarly collaborative network owned by Elsevier, the world-leading provider of scientific, technical and medical information products and services. Together they will provide greater access to a growing user-generated content base on which they can build new informational and analytical tools and increase engagement with researchers. SSRN is devoted to providing "tomorrow’s research today” through specialized research networks in the social sciences and humanities. 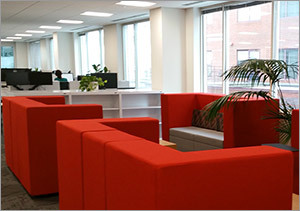 We facilitate the free posting and sharing of research material (e.g., conference papers, preprints, non-peer-reviewed papers) in our subject areas. Social science papers tend to have fewer co-authors, so networking and sharing ideas, hypotheses and drafts during the research process are critical; SSRN helps authors evolve their research and communicate their results worldwide. Mendeley is a researcher workflow tool that helps researchers organize, discover and share their research. Mendeley is also becoming a collaborative environment for sharing early results of research but is more focused in science, technology and medical fields. Its technology platform, enhanced by Elsevier’s investment, uses metadata from articles and usage on its site to develop a suite of analytic tools that directs researchers towards the best people to collaborate with and what to read. Together, SSRN and Mendeley can provide greater access to the growing base of user-generated content, build new informational and analytical tools and increase engagement with a broader set of researchers. SSRN has more than 2 million members and 671,000 paper abstracts from over 300,000 authors. Its CiteReader technology has extracted 9 million references and 9 million footnotes and matched 6 million citations from the 562,000 full-text papers in its eLibrary database. Mendeley has more than 5 million registered users, with 817 million full-text articles in its libraries, up from 2.5 million users and approximately 300 million articles in April 2013, when it joined Elsevier. 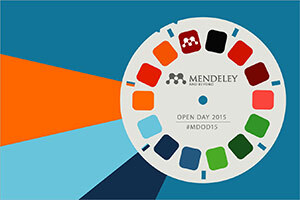 In November 2015, it launched the Mendeley Data repository to do more with the data from that research. For SSRN’s users, the union with Mendeley and Elsevier will create significant short- and long-term benefits.We’ll be able to invest in an updated, more efficient SSRN user interface with add-ons such as a drop-in reference manager from Mendeley. SSRN will benefit from access to Scopus citation data and an ability to link working papers to their published versions with direct forwarding links. We’ll also have access to Elsevier’s broader collection of metrics and data analytics, which we can share with SSRN authors, readers and users. In time, SSRN will migrate onto the Mendeley technology platform, which will improve our ability to manage academic and research profiles, allow users to follow collaborators and other authors, and develop new journals and curation services. Researchers and institutions are increasingly under pressure to demonstrate their research output, make early claims to their intellectual contributions, generate visibility of and discourse around their preprint papers, and monitor the impact of their work. SSRN provides the scholarly environment and global dissemination within numerous scholarly communities that enable these activities. Mendeley and Elsevier will help close the loop from the preprint on SSRN to fuller collaboration and broader dissemination through the 5 million-strong Mendeley researcher community. The recent integration of Elsevier’s Scopus and ScienceDirect into Mendeley profiles and stats, and the integration of Newsflo’s global media mentions of a researcher’s paper, will provide authoritative performance measurements. Through Elsevier, SSRN will receive significantly greater development resources and access to a deeper global network to expand our presence and the pool for SSRN user collaborations. For Mendeley, adding SSRN brings enhanced author relationships, hundreds of academic organization customer relationships, another proven freemium business model, and a leading resource for social science content. As a start-up, Mendeley was focused on building its reference manager workflow tool, gaining a loyal following of users thankful that it made their lives easier. Mendeley continues to evolve from offering purely software and content to being a sophisticated social, informational and analytical tool; with SSRN, it will serve an additional 2 million users who will share, discover and collaborate on its network. SSRN supports the evolution of a broader Mendeley community by becoming a community with field-specific “silos” beneath it. In short, combining the content of both platforms with the software of Mendeley means greater opportunities and better outcomes for all researchers. I co-founded SSRN to enable scholars to share and distribute their research worldwide, long before their papers work their way through the journal refereeing and publication process, and to facilitate communication among scholars at the lowest possible cost. I’m confident SSRN can do that even better with Elsevier and Mendeley. SSRN will continue to enable users to “submit for free and download for free.” For SSRN users, you are assured that our ethos will remain intact. Like the Mendeley co-founders, I’ve worked with Elsevier at many levels through the years and find them to be far more open, innovative and collaborative than some people give them credit for. Elsevier is actively linking data and analytics to its vast content base in ways no other potential SSRN partner can match. By connecting Mendeley, Scopus, ScienceDirect and its editorial systems, they’re helping researchers get a more complete picture of their research landscape. Institutions will also benefit with a better view of their researchers’ impact. The majority of SSRN’s content consists of working papers, the versions of which Elsevier has always been open to sharing, and they’ve done a lot of work to clarify which versions of content can be shared. Both existing and future SSRN content will be largely unaffected and, like Mendeley, we’ll help researchers share post-submission versions of their work responsibly. Importantly, Elsevier respects our key values and core-proposition (free posting and reading) and commits that authors (or eventual publishers) will retain their copyright to any paper posted to SSRN. Elsevier is also an open access publisher and understands, as we do, that academics work collaboratively through sharing. It’s a big reason they acquired Mendeley, and SSRN will contribute in the social sciences and humanities. In the short term, SSRN will remain unchanged, with working papers being posted on SSRN and benefiting the worldwide community. We’ll reach out to community members for additional ideas and feedback about how the platform can be improved using Elsevier’s capabilities. We’ll develop a timeline for eventual integration as a separate community on the Mendeley platform and a more specific product development plan that we’ll share in the coming months. I’ll remain in Rochester with our team and spend a lot of time with my new colleagues in London. Dr. Jensen remains an important part of our future and will help guide this integration. We’ll also retain the SSRN brand to distinguish our contribution to the social sciences and humanities communities. I’ve known Mendeley’s cofounders for several years and watched their organization grow from 50 people to nearly 200 since joining Elsevier. They have made tremendous technological strides, and importantly, they’ve retained their freemium model and kept their API open while infusing Elsevier with their start-up culture and innovative spirit. 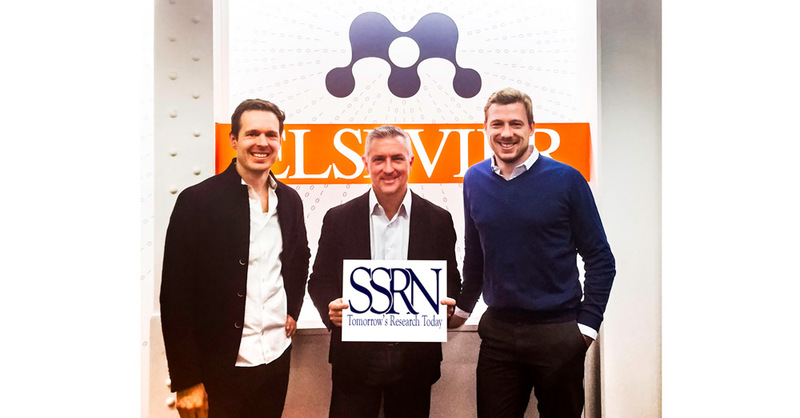 I am truly excited about the possibilities for SSRN with Mendeley and Elsevier. We are squarely focused on our users, and the potential synergies for all of us are tremendous. Gregory J. Gordon is President and CEO of Social Science Research Network (@SSRN), a leading open access multi-disciplinary online repository of scholarly research. SSRN is focused on the high quality, rapid electronic dissemination of scholarly research at the lowest possible cost (“Tomorrow's Research Today”). Currently the top social sciences and humanities scholarly repository in the world, SSRN provides a variety of electronic distribution and related services to help scholars create innovative research. More importantly, SSRN works with researchers to reduce the time needed to find relevant material, provide easy access to a broad array of interdisciplinary content, and significantly accelerate the cycle of research. Its eLibrary database has 670,000 papers from over 300,000 authors, and users have downloaded nearly 100 million full-text papers since inception. 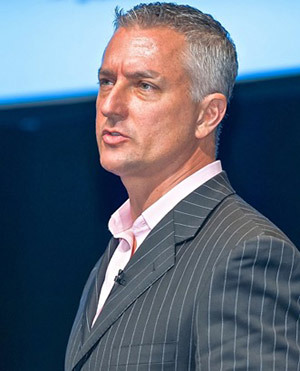 Prior to helping Michael C. Jensen, found SSRN in 1994, Gregg worked at KPMG and entrepreneurial companies in technology and healthcare. He speaks around the world and writes regularly about scholarly research and the changes needed to create innovative research faster. Most recently, he co-authored The Question of Data Integrity in Article-Level Metrics, published by PLOS Biology.